This year, volunteers will give us over 12,000 hours of their time worth $330,000! That allows us to run the Next Step with a very lean staff - just five part time employees - not even three full time equivalents. And that means more of your donations go to our neighbors in need than into salaries and overhead. We rely upon our volunteers. There are many ways you can join in our important work. These guys barbecued 108 hamburgers and 96 hot dogs. They cut up five watermelons, made a bunch of salads, served big bowls of chips, and a had great selection of cookies for dessert. They had a ton of fun being together. EMAIL > Rita Gilfilen if you'd like to know more about how you can join a Community Dinner Cooking Team. Or complete our form below and we'll be in touch with you. 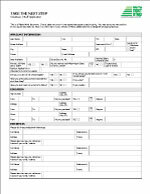 Just complete the following form and we'll get in touch with you. Anything more you'd like us to know? If you will be working directly with our clients on a regular basis, we will ask you to complete a Volunteer Application. This includes giving us your permission to perform a background check. Participants in Community Dinner Cooking Teams are not required to complete the Application.